Recycling containers come in many sizes and configurations. The CCS recycling container is designed to make the hauling, loading and unloading of recycled material as simple as possible. 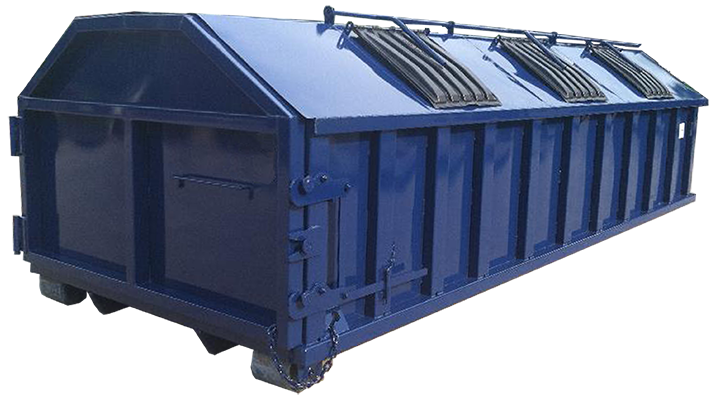 This type of recycling container is typically constructed as a standard 20, 25 or 30 yard roll off with plastic sliding or hip doors on a “hip” shaped roof to allow for the safe and secure deposit and hauling of various materials. Typical recycling containers are used for cardboard, newspaper, plastic, glass, metal in separate compartments or commingled.